Considering the size of the expo, it was evident that the interest in digital cities is on the rise, and may soon become a mainstream topic for cities and governments. But as this space grows, we have seen a large number of tech-driven companies, trying to sell the next shiny tool that will presumably help cities magically transform into digital cities. So what’s the real deal? The ThoughtWorks delegation has summarised the key insights from the conference into the Digital City Blueprint to help you wherever you are on the journey. The first three principles focus on the digital and cultural transformation that sets the foundation of a digital city, while principles 4 and 5 are about scaling cities' abilities to solve problems for citizens in areas such as intelligent mobility, healthcare, democracy and social inclusion. While platforms such as Instagram and WeChat make technology and user experience look simple, delegates representing major cities expressed that digital transformation of frontline services remains a challenge. Throughout the conference, GOV.UK was the most referenced example of a successful government digital transformation. Launched in 2012, the UK’s Government Digital Service (GDS) merged hundreds of government agencies websites into a single, easy-to-use platform. Beyond user experience, delegates were interested in the organisational change and shift in mindset that helped GDS embrace agile and lean principles, and seek open standards. Meantime in Barcelona, the city embraced the principles of the GDS’ open framework, to enable government services that are more open, more transparent, more agile, and more participatory. To support that, Francesca Bria was recently nominated as the Digital Commissioner for the city; a new role that demonstrates that Barcelona is recognising the importance of having a unified digital strategy and approach for delivering digital services for citizens across different departments. Francesca has been proud of the city’s achievement in modernising procurement, making it possible to work with innovative partners that they couldn’t easily engage with before. While digital transformation in government is not easy to achieve, we have evidence for approaches that now work beyond a single country or city. If you are in the midst of a digital transformation, GDS, Stockport Council and the City of Barcelona, are all great examples for setting up a solid, yet flexible foundation. It was refreshing to see that forward-thinking cities have started to embrace the concept of the ecosystem, partnering with existing platforms, services, startups, and communities. A great example of this is the work done by the City of London. 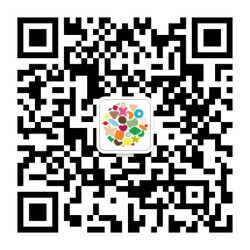 To attract and engage Chinese users, they launched a mini-program on top of WeChat, China’s leading social network. By collaborating with an existing popular platform, the City of London has significantly increased the chances of Chinese people discovering and engaging with the service. With 49% of U.S. smartphone users downloading zero apps in a typical month, according to comScore, cities need to carefully consider whether to develop a separate service/app or build on top of existing ecosystems, which help improve discoverability as well as increase the chances of long-term engagement. Sentilo is an open source sensor network that was created in Barcelona from the bottom up. Emphasising shareability and reusability, Barcelona is building a city OS, which is a standardised ontology for cities. Instead of top-down standard setting, any developer can access and use the data. Together with startups and the community, the City of Barcelona is running pilots on top of the Sentilo platform in different areas, including energy and noise monitoring, water metering, garbage collection and parking. Developing and testing with real use cases helps optimize the sensor platform and the city. While data is the oil of the digital economy, many leaders at the conference expressed the need to move away from a surveillance economy, where information is in the hands of very few companies. By having an open city interface and shared data, the startup ecosystem can creatively solve problems. At the expo, London was called out as a city that is heading in this direction. London has open sourced all of their transport data, resulting in over 600 different apps that solve real mobility problems for citizens. Francesca Bria of the City of Barcelona has also shared how they are trying to democratise data and delved into the city’s ethical and responsible data strategy, that looks at data sovereignty, privacy, and encryption as a human right. The cross-city Decode project that we’ve mentioned earlier is a prime example of how Barcelona is bringing their data strategy to life. This project by the European Commission is led by 14 partners that are aiming to set the next standards for data, where citizens are the ones who own the data. Under Decode, citizens can decide on what basis they want to share their data, with what kind of licensing, on what terms, and with whom. This framework creates transparency and enables people to have data entitlements. Decode is an open source project that can be used by other cities and organisations around the world. Instead of voting every four years, can technology help us move to a more participatory democracy system? As part of the Decode project, the City of Barcelona has been experimenting with Decidim, an open sourced democracy platform that removes citizens’ fear of revealing their true political beliefs. Using blockchain, the platform allows voters remain anonymous while being able to verify the eligibility to vote. Decidim is an experiment at its early stages, so watch this space. The smart city agenda emerged from a technology, vendor-led view, laying out technology infrastructure such as sensor networks that help collect extensive data. But 90% of the data that we aggregate today didn't exist three years ago, and many cities don’t have the capability or capacity to make positive use of large volumes of data on their own. So rather than start with expensive technology and unnecessary data collection, it’s always better to start with a need. Moreover, to deal with crucial urbanisation issues including mobility and health, cities are now seeking bottom-up innovations that are coming from citizen science, startups, and the open source community. Involving the community helps unleash the talent in the city, to be able to use data as a public resource. With this approach, startups, innovators, social enterprises, and citizens can help build next-generation services. A great example of a bottom-up city innovation approach is, T7, a UK-based startup that provides better care for the elders at their homes using IoT devices, helping improve lives while reducing cost. By placing devices around the house as well as wearables, T7 gathers data, and provides a very engaging interface to the elder's carer, or next of kin. The platform reduces the need for frequent visits by the family or carer, as well as provides the ability to identify an emergency in real time. It also helps improve the lives of elders with chronic conditions, reducing the need to access public health services frequently. Beyond startups, the rise in availability of open hardware tools, the creation of online data sharing platforms, and access to makerspaces, have fostered the design of citizen-driven innovation and engagement. Citizens are starting to understand the power of collective data, as it can inform policy and regulations, as well as address some issues in real time. One of Decode’s pilots is Making Sense, a bottom-up sensor network that empowers citizens to crowdsource a solution for a problem. The pilot focuses on dealing with the increasing noise levels at some parts of the city of Barcelona by placing sensors in apartments and on top of buildings. But why do we need to add more sensors if nearly every home today has an Amazon Echo like device? These devices listen to everything that we say, and that hurts privacy rights. Making Sense is using blockchain technology, so citizens can share the noise data from their apartments and buildings, without revealing their identity. This information can help the city plan and deploy services to disrupted areas, without breaching the privacy of their citizens. Digital cities are like live organisms. Those that enable different parties to work together on top of a shared, secured infrastructure, will realise greater innovation that will hopefully create better, healthier lives, for generations to come.